Easy moong , methi quinoa dosa is healthy, gluten free and vegan breakfast. 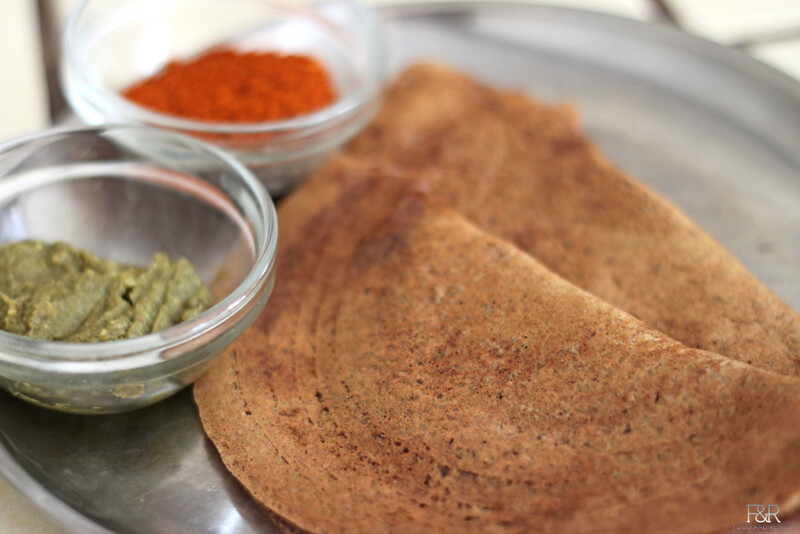 no fermentation is needed to make this Dosa. Mung Beans / Whole moong are a great source for vital nutrients such as calcium, iron and potassium. This is the PERFECT FOOD for weight loss, because of its low fat content, high fiber and protein. The complex carbohydrates help with regulating blood sugar levels. It prevents rapid rises in blood sugar levels after eating a meal. Mung beans are considered to have many anti-cancer properties. Also, fenugreek seeds help to relieve discomfort due to arthritis and to avoid constipation. Put soaked mung beans, fenugreek seeds, and quinoa along with the water and all other ingredients (salt, chillies, cumin seeds, and ginger) into the mixer jar and grind it to a fine paste. Now, transfer the batter to a container. The dosa batter is ready to use. You don't have to ferment the batter. Heat the skillet on the medium high heat. Once it is hot enough, reduce the heat to medium. Spray some oil on the skillet, pour a ladle of batter and circle it from the center to make a dosa. Put oil on top, and if you would like, sprinkle some flaxseed chutney powder on top. Cover the lid for few seconds. Once it has cooked completely, remove the dosa from the skillet. Repeat the procedure to make more dosas. Eat with chutney, sambar or chutney powder. Thanks for posting such a nice healthy recipe. Last weekend I have made this batter and let it to ferment for couple of hours then I transferred the batter into refrigerator. It fermented further even though as it is in refrigerator. Do you think is it safe to store this batter for couple of days in refrigerator. Laxmi, Actually no need to ferment this particular dosa batter. it will Use fresh as much as possible, but you can refrigerate for couple of days and use it.